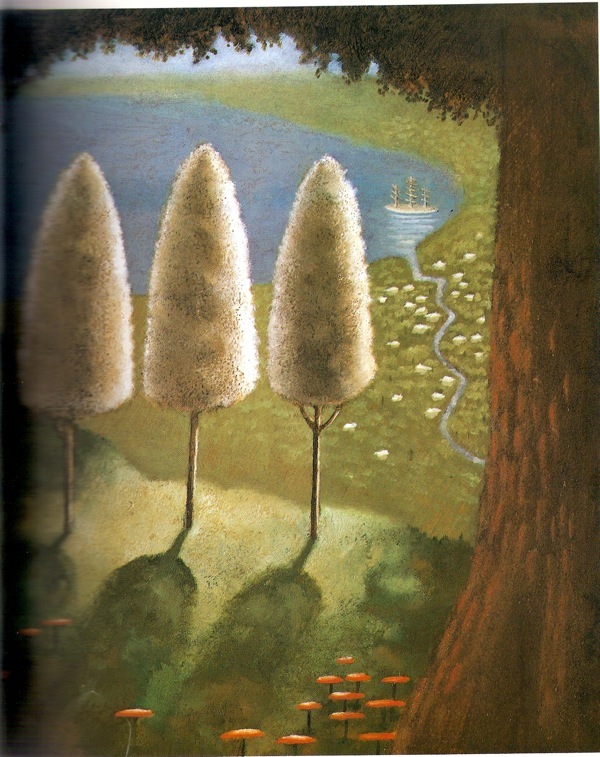 The Tale of Three Trees is probably my favorite children's picture book EVER! The powerful message that God has a special plan for our lives permeates through the story of three trees that have dreams of what they want to be when they grow up. Years pass and eventually woodcutters come to their mountain. Each tree finds itself in a place they never desired to be, yet in the end - "God's love changes everything." Use this Christian children's book to paint a beautiful picture of how God has a wonderful plan for our lives. It's ideal to use during the Easter season, but may be used really any time of the year. Don't think it is only for children either; it's message reaches out to all ages. This book brings encouragement and hope, and would even be a wonderful gift to a child, a graduate, or a special friend that needs a ray of hope. Following is how I've used this special book for a children's Bible lesson and devotional talk. This can be adapted for Children's church, a children's sermon, or even adult devotional talk. Children's books can be made into wonderful Christian object lessons! Although Easter is the ideal holiday for which to use this story, we also have a special Christmas Bible study lesson﻿ to go along with it. Introduce the reading of the book by asking your audience to share what they dream (or dreamed) of becoming one day. Share Jeremiah 29: 11 - "For I know the plans I have for you," declares the Lord, "plans to prosper you and not to harm you, plans to give you hope and a future." God has a plan for each of us. There may be times we lose sight of our dreams, and we may not understand things that take place in our lives. We must remember though that God loves us, has a plan for us, and is in control; therefore we can trust Him. When reading The Tale of Three Trees aloud, it's always wise to practice reading before reading for an audience. I suggest getting in front of a mirror. If you are able, hold the book facing the audience as you read. I usually hold it near my right shoulder facing out and turn slightly towards it to read. Don't be afraid to get into the "characters" of the book. Reading a book aloud is like reading a play. Use your voice and the speed of your reading to bring the story to life. After reading the story. Share Romans 8:28 - "And we know that in all things God works for the good of those who love him, who have been called according to his purpose." I end my lesson with a Christian object lesson using a chocolate cake to help illustrate this Biblical truth. Children would enjoy acting out the parts of the three trees also either in part or using a full play script with pictures of costume ideas! 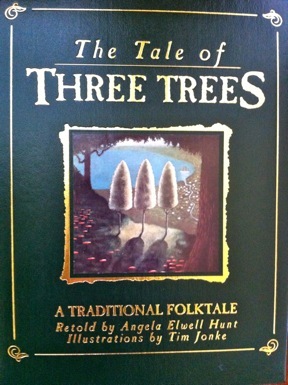 Read the traditional American folktale of The Legend of Three Trees. If you'd like to purchase a copy of this beautiful story, please click on the link by the picture of the book at the top of this page and order through Christianbook.com. When you do, a portion will go to keeping our site on the web. Thanks!